I will be adding Maier to my favorite biographers. 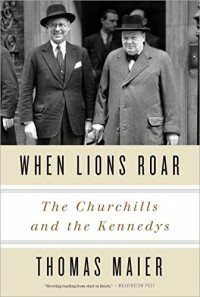 This was an amazing read- not only about Winston Churchill and Joseph Kennedy but their extended families as well. It chronicled the times and how the two families interacted, not only through politics, but it also showed that although Winston and Joseph did not always see eye to eye, they both and their families interacted on the social and personal level. I had no idea how connected the two families were. I highly recommend this novel for any Churchill fans, Kennedy fans, or simply just fans of the era the book spans. Go pick up a copy!